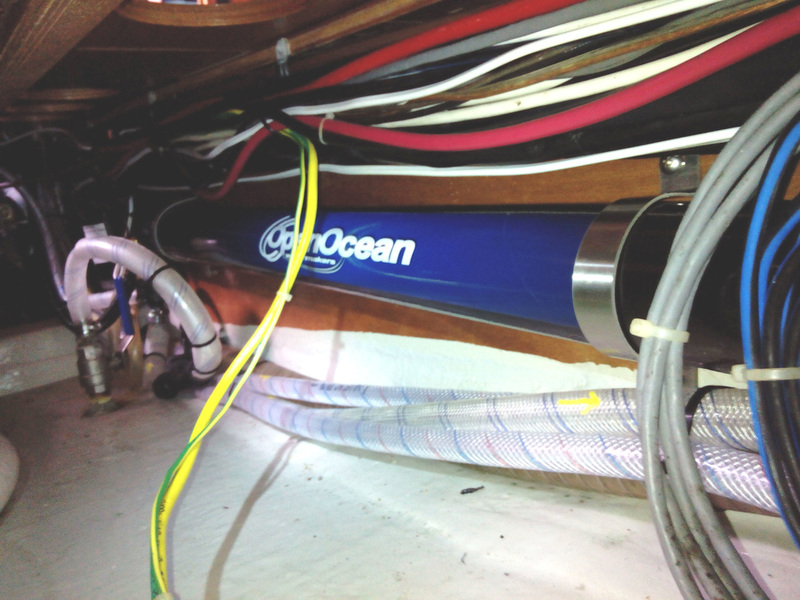 The Electric 12 DC model produces 35 liters per hour. 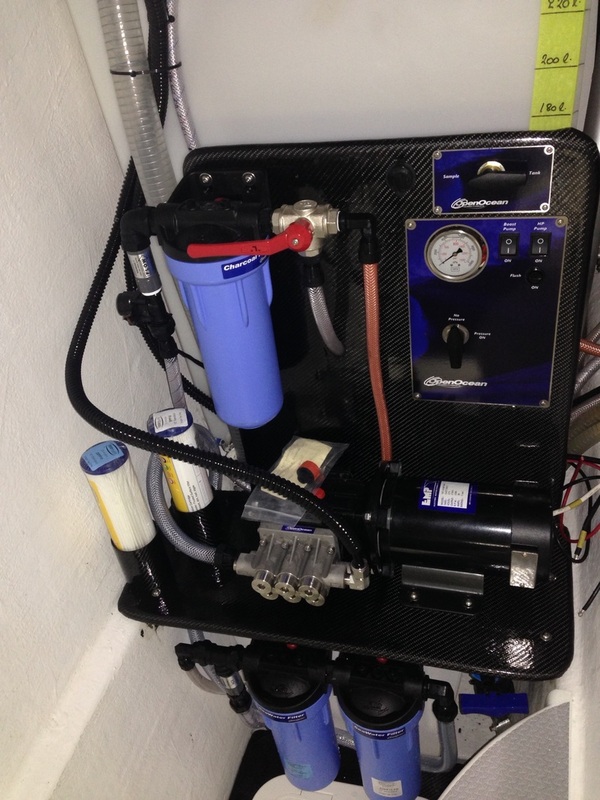 It is a good option where your on board DC power supply is your primary way to produce pure fresh water. Run your water maker off your battery bank and maintain your charge utilizing your solar panels, wind generator or engine alternator. 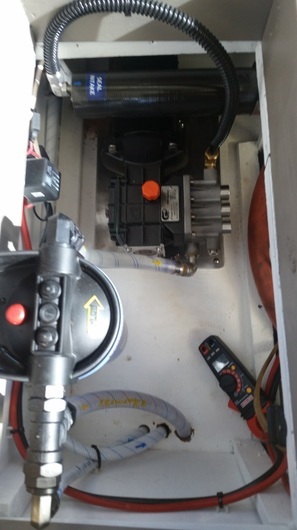 Boats equipped with 350 Watts or more of solar are usually able to run their watermakers during the peak charging hours of the day. Convert sunshine into drinking water. Also available as a 24 Volt system. 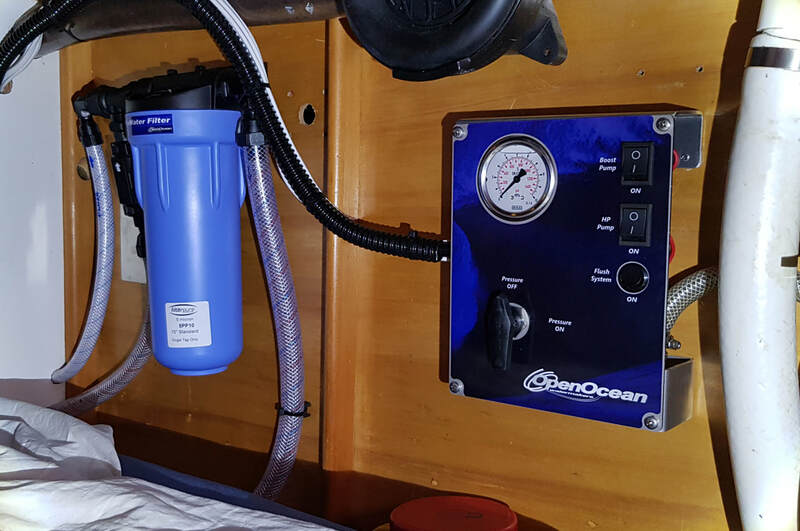 ﻿Units are modular in design allowing you to fit system components in available spaces on your boat..
Seawater Filter and Control Panel fitted in spare quarter-berth. Easy to access, yet out of the way. 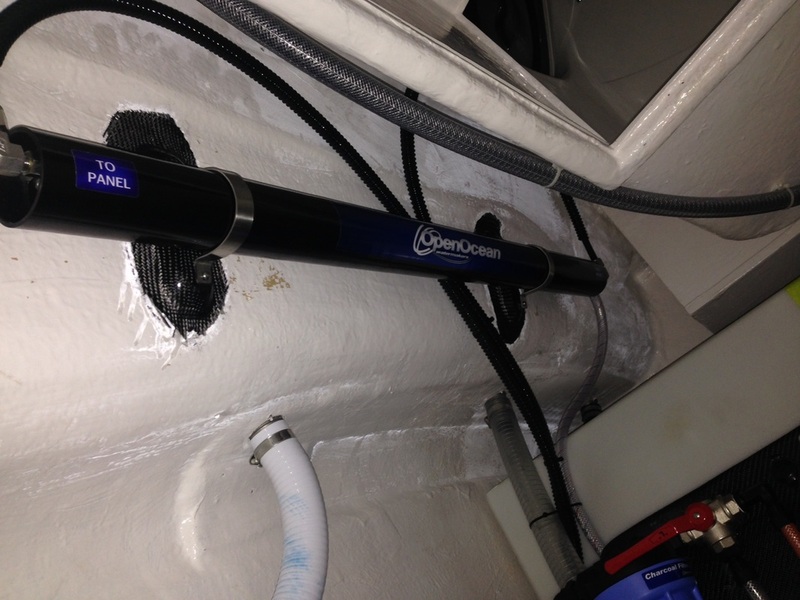 Our Low Current 12 Volt system fitted into a settee locker. 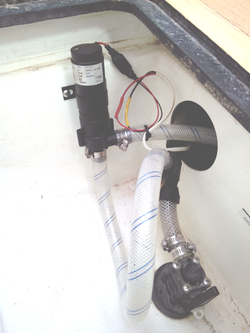 Membrane, Seawater Filter, Relay, and Pump and Motor.